Time Management & Productivity Consulting - Energy To Organize! Accomplish your personal and professional goals, projects, desires and passions faster and easier- this usually leads to increased family & fun time! Feel energized instead of worn down; LIVE a healthier, happier life! Make a positive impact in your and others’ lives because you’re focused and have time for what’s important to YOU! 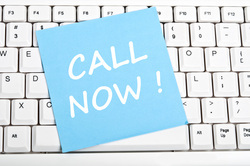 Call (619) 244-8528 or Email Natasha now to set up a complimentary Time Management Phone Consultation. This will give us an opportunity to discuss your goals, needs and frustrations. I’ll also answer your questions and tell you more about how Time Management Coaching is structured and your investment for this life changing process. Check out Natasha’s Time Management for Busy People presentation on her Speaking Schedule and sign up! Natasha has completed intensive training to be a Time Management Coach with the Julie Morgenstern Organizing Institute.